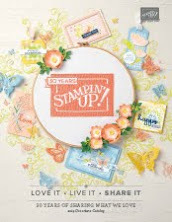 One of the best dies from the Occasions catalog is the So Detailed Thinlit Dies that matches the So In Love stamp set. However, I've been using this die set with so many different stamp. It seems to work with any famine look you want to create. I used the die twice on today's card, cutting both a Very Vanilla and a Gold foil flower image. Then I layered the Gold foil slightly offset from the Very Vanilla to make it look like a gold drop shadow. After water coloring the Beautiful You image with Soft Suede, I use Wink of Stella to add sparkle to the Beautiful You Image. The image is stamped on an oval from the Stitched Shapes Framelit dies and three gold sequins from the Metallics Sequin Assortment, which added a little more interest to this card. The DSP used is from the Falling In Love Designer Series Paper pack. The Big Shot Die Brush is a "must-have" when working with detailed dies such as this one. A few quick rolls of the Die Brush over the thinlit after its been rolled through the Big Shot, helps remove all of the small chads quickly and easily with maybe one or two chads that need to be poked out with your piercing tool. This tool will save you many frustrating hours when using detailed dies. 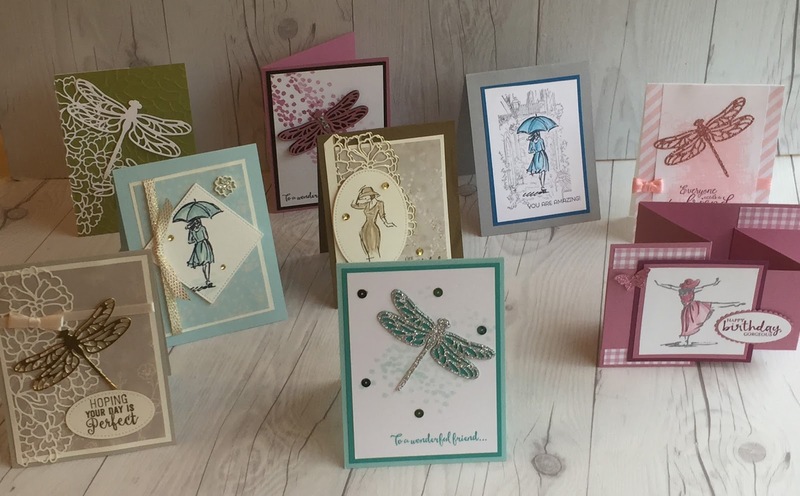 March 12 - We'll make 9 cards using the Dragonfly Dreams set and the Beautiful You set. Register now. March 26 - We'll decorate our free Sale-A-Bration Gold and White tins, stamp the inserts, and make 6 cards using the Birthday Blast and Cool Treats stamp sets. I have some tins for sale if you haven't placed an order for your free tin yet. Watch for registration announcement shortly. Want an idea of what our past classes look like? Take a look at the photos from our recent Spring-Easter class. Photos from the class are in a photo album on my Meetup site. And sign up on my Meetup site while visiting to receive notifications of upcoming classes. 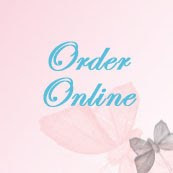 Receive a free gift with each $50 you order during Sale-A-Bration. 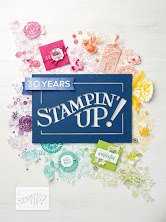 Select from stamps, designer series papers, ribbons, or a card tin with inserts. Stampin' Up! added three more free selections you can choose from when you make a $50 purchase in addition to the items in the Sale-A-Bration gift brochure. Don't miss the free Sale-A-Bration selections. 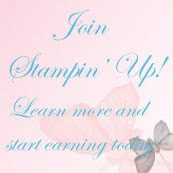 This is also the best time of the year to Join Stampin' Up! as a demonstrator. Both offers end March 31. Join as either a hobby demonstrator to make new friends and enjoy demonstrator product discounts of 20-25% on product purchases. Or you can turn your hobby into a business where you are your own boss, work your own hours, and do something you love!